1) The bulb & the holder type is E-14. 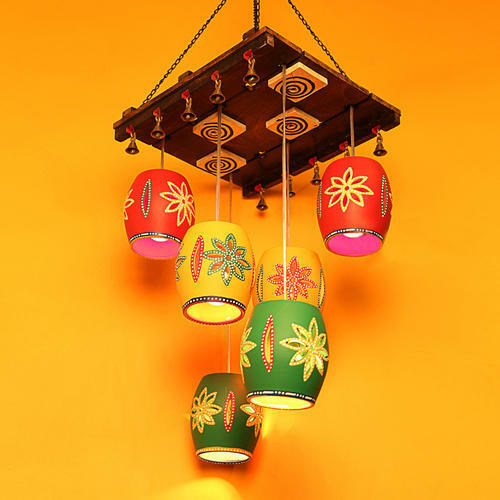 2) Comes with 6 hanging shades. 3) Bulb is not included. 4) As this product is handcrafted there might be a slight color or design variation, which is natural and hence makes the product unique.